Here is another low cost selfie stick that is slim enough to be invisible to 360 cameras, straight out of the box with no modification required. I’ve been recommending the Benro MK10 as a selfie stick because if you remove the ballhead, then it becomes invisible to 360 cameras. The problem is that removing the ballhead takes a lot of effort because the ballhead is glued with loctite or something. Like the Benro MK10, I found this cheap selfie stick called Monopod that is slim enough to be invisible to a 360 camera, but you don’t need to modify it. 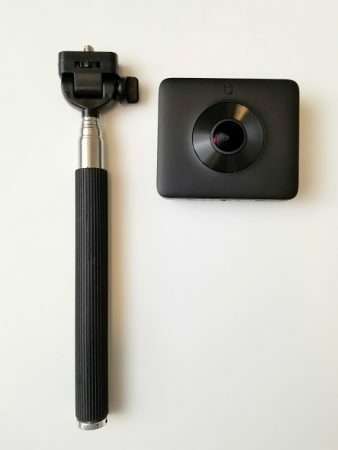 Note that there are selfie sticks that look similar but which are slightly thicker and will not be invisible to slim cameras such as the Xiaomi Mijia Mi Sphere. In the shot below, the one on the left is not invisible. 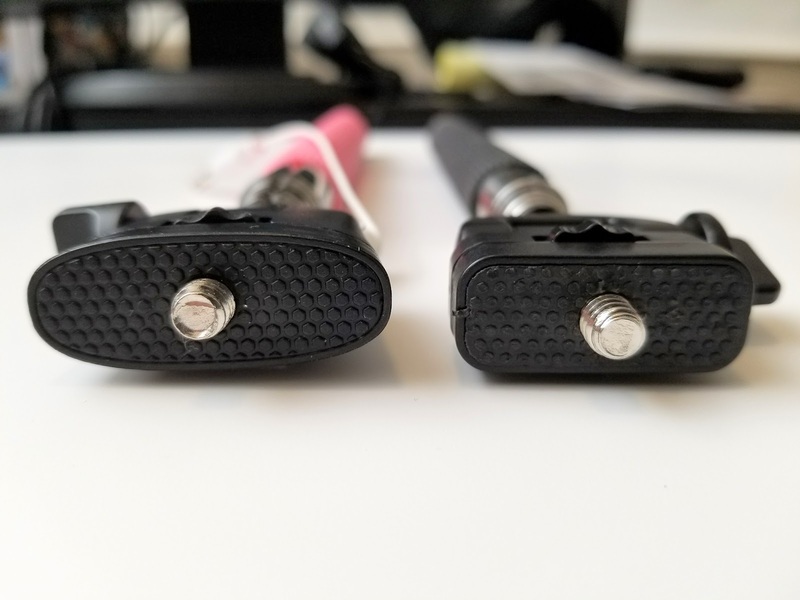 The Monopod brand on the right is invisible. 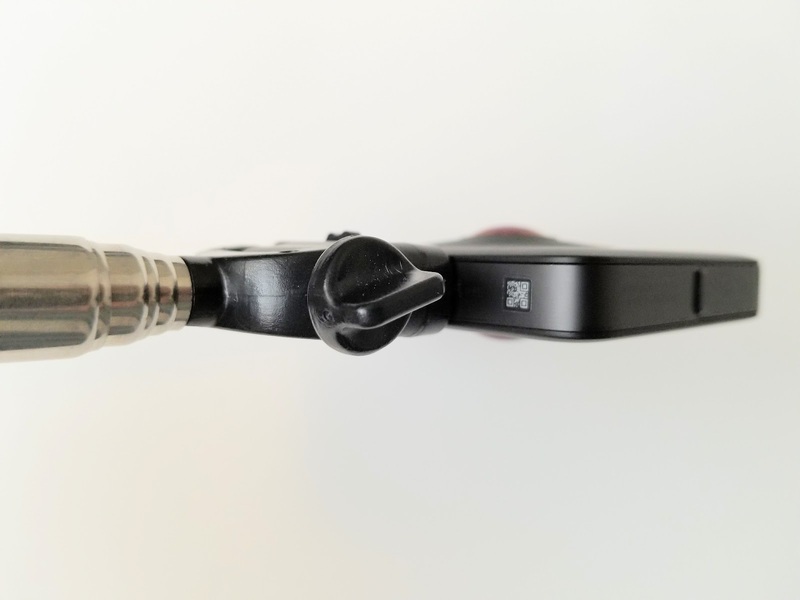 The Monopod selfie stick is about 43 inches long and has a 1/4-20 insert on the bottom to attach it to tripod legs. The package also includes a smartphone adapter, bluetooth remote, and wrist strap. The Monopod selfie stick is available from GearBest (you can use the code GB10% to get extra 10% discount) or Amazon. Thank you for using the affiliate link, which supports 360 Rumors at no additional cost to you so I can do more tests and reviews. Thanks Steve. Yes it’s cheaply made so I’m not surprised. But at least it is easy to replace. Thanks Kirkdis. May I know where you found the longer metal piece to replace the base? Hi Mic, I plan to do virtual tours using the Mi Sphere and been searching for the perfect kit. I have been trying to find a selfie stick or monopod at least extendable to 150cm with very minimal footprint from the mounting / tripod legs. I actually asked some china suppliers regards to the 2 different mounts your image shows. They didn’t have the answers if the mount would be visible when I shoot 360. As per your article, the pink selfie stick with the slight oval mount when used on the Mi Sphere, the mount will be invisible, yes?